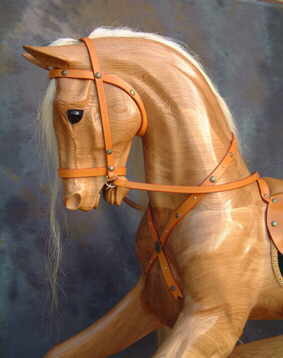 Legends' own carving rocking horse design. 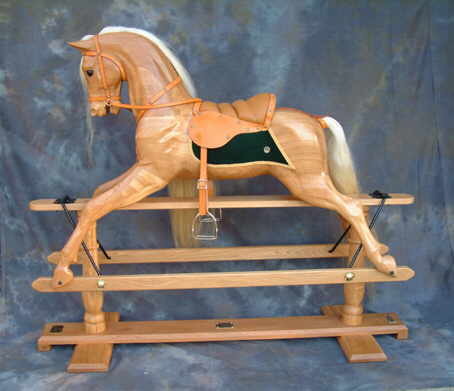 Made from plantation-grown English Oak this rocking horse has been polished to enhance the natural colour of oak. With a deep green saddle blanket, 'London Colour' leather tack (all fixed) and blond mane, this style creates a perfect palomino.